Today Lenovo made a huge announcement at the 2014 IFA Consumer Electronics show in Berlin. This year was all about tablets, PCs, All-in-One Computers, dedicated gaming PC machines, and smartphones. 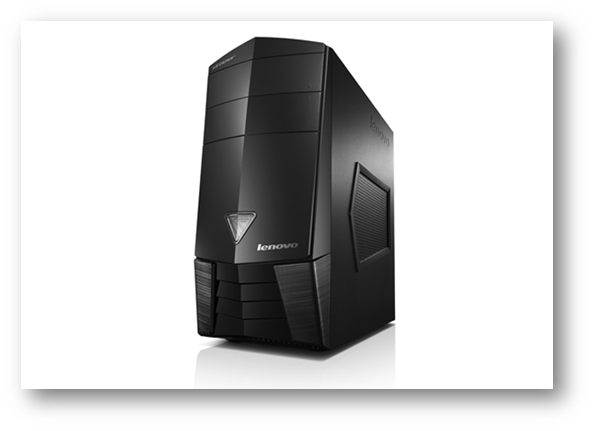 Lenovo kicked off their lineup with the ERAZER X315 workstation. The ERAZER X315 expands Lenovo's line of powerful desktop gaming devices with blazing fast graphics, high-speed storage and futuristic design. The Lenovo ERAZER X315 is the latest addition to Lenovo’s line of affordable gaming desktop PCs. To keep users in the action, the ERAZER X315 features AMD Radeon R9 series graphics card, a quad-core processor and up to 2TB of SSHD. boosts the gaming experience with immersive audio that features a 7.1 channel sound support and Dolby enhancements. The newly designed chassis features front LED lighting and a futuristic profile that mimics the smooth lines of a knight’s armor. The front panel also features a one-touch port cover for easy access and a hidden air vent that keeps the device cool when the gaming heats up. Other features include up to 12GBs of memory, four USB 3.0 ports and always-on USB charging port for enhanced connectivity. The Lenovo ERAZER X315 will be available in North America beginning in November 2014 with models starting at $599 and you can’t beat that price.